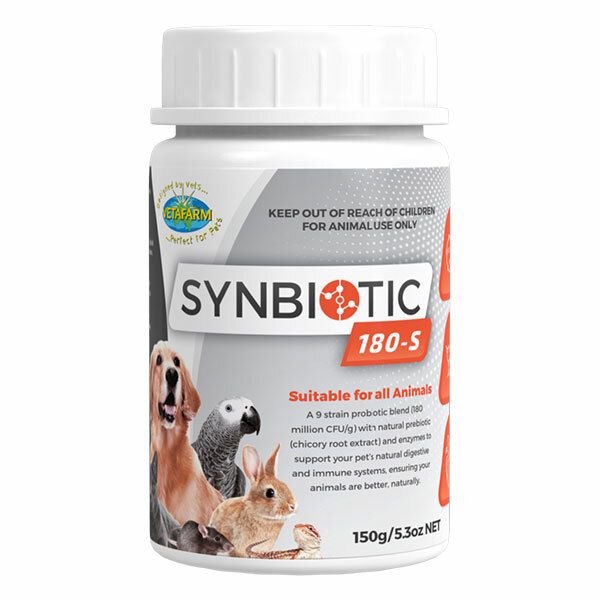 Formulated by veterinarians and made with whole, fresh, Australian ingredients. 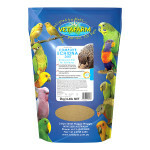 Extrusion cooked for optimum palatability and digestibility. 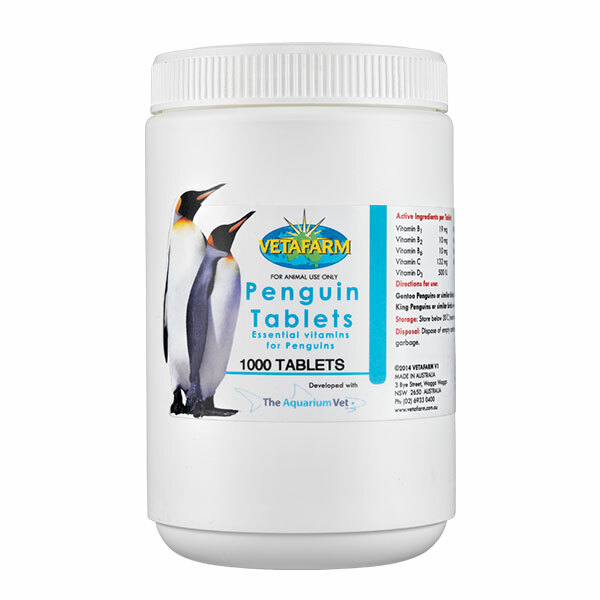 Used and recommended by leading zoos and rehabilitation centres. 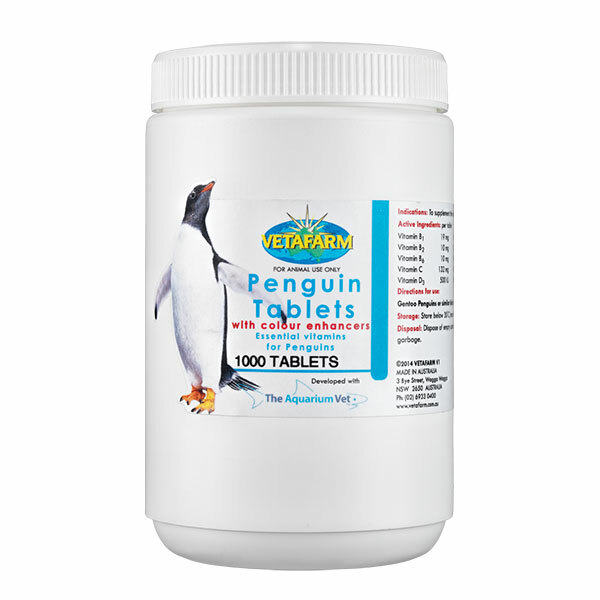 Reconstitute diet using warm water to achieve the desired consistency. 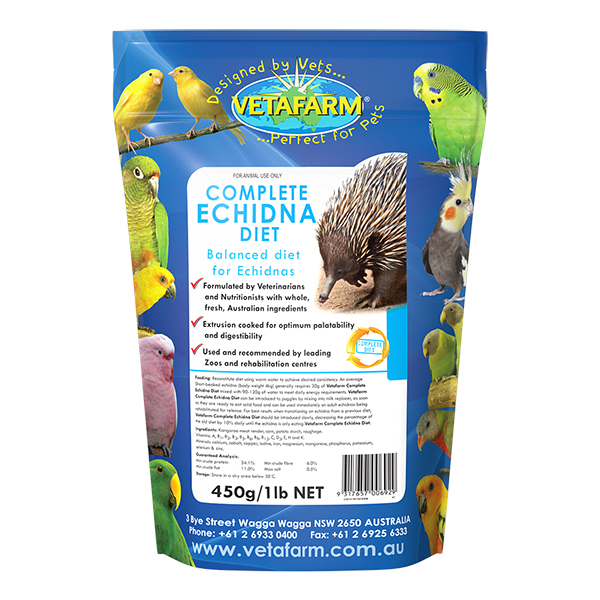 An average Short-beaked Echidna (body weight 4kg) generally requires 30g of Vetafarm Complete Echidna Diet mixed with 90-120g of water to meet daily energy requirements. Vetafarm Complete Echidna Diet can be introduced to puggles by mixing into milk replacer, as soon as they are ready to eat solid food and can be used immediately on adult echidnas being rehabilitated for release. For best results when transitioning an echidna from a previous diet, Vetafarm Complete Echidna Diet should be introduced slowly, decreasing the percentage of the old diet by 10% daily until the echidna is only eating Vetafarm Complete Echidna Diet. 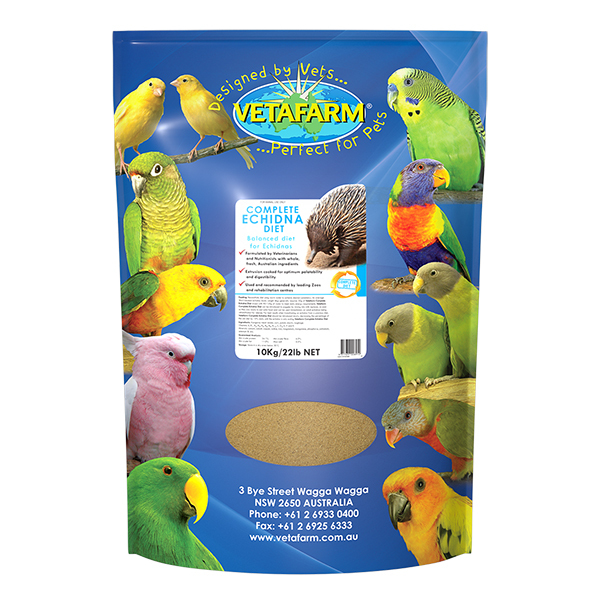 Kangaroo meat render, corn, potato starch, roughage, Vitamins (A, B1, B2, B3, B5, B6, B9, B12, C, D3, E, H and K) & Minerals (calcium, cobalt, copper, iodine, iron, magnesium, manganese, phosphorus, potassium, selenium & zinc).